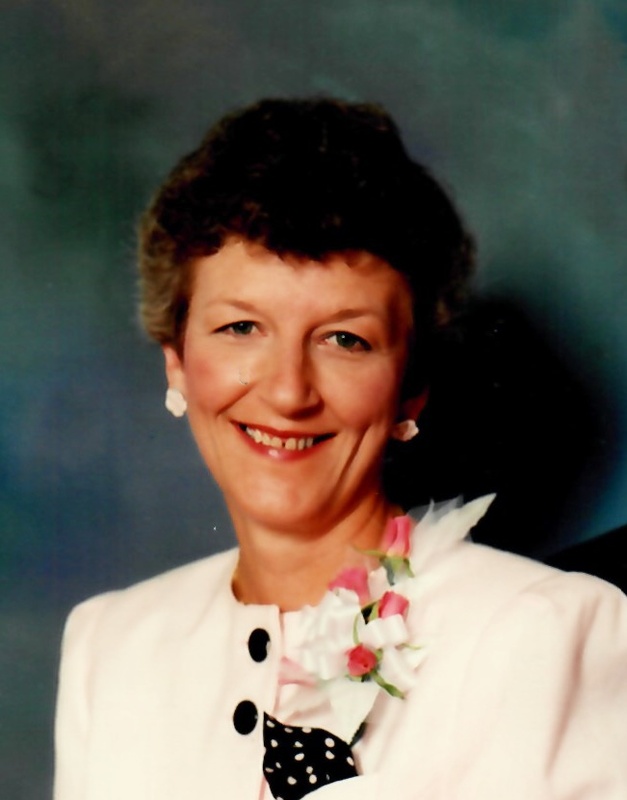 Diana L. Kegley, age 70, of Shelby, died Monday night, January 14, 2019 at The Good Shepherd in Ashland. Diana was born February 24, 1948 in Shelby to the late Daniel J. and Betty Jeanne (Burkey) Rabold. She was a 1966 graduate of Shelby High School and retired from Cornell’s IGA after 20 years of service. Diana enjoyed reading and watching old movies, but especially enjoyed baking. She took pride in making the “best pie crust you’ve ever eaten”! On July 6, 1985, Diana married Robert E. “Bob” Kegley and he survives along with her daughter: Lorie (John) White of Shelby and 3 step-children: Dale Kegley, Stephen Kegley, and Mark Kegley. Her grandchildren were her pride and joy and they also survive: Cole White, Baylie White, and Rylie White along with 9 step grandchildren and 3 siblings: Dan Rabold, Deb (Mike) Grimwood, and Mike Rabold all of Shelby. Her parents preceded her in death. Family and friends are welcome on Friday, January 18, 2019 from 4-6 pm at the PENWELL TURNER FUNERAL HOME, 168 West Main Street, Shelby. Memorial contributions may be made to the Shelby Fire Department and left in care of the funeral home. To Dan, Deb and rest of family, so sorry for your loss. May God Bless and Keep You and Yours Always. Lorie and John, so sorry for your loss. Praying for peace and comfort. So sorry to hear of Diana’s passing. I’m going to miss this lady. She was so feisty & always made me laugh. Sending prayers & big hugs your way. Dan, Deb, Mike and family, You have my deepest sympathy, in your loss.. Diana was a fun loving and beautiful lady and she will be missed. Please accept my deepest and sincere sympathies at the Loss of your sister, Diane. Losing a sibling leaves an eternal empty feeling with our hearts. I am so sorry for your loss. I remember Diane and Bob from when I was younger. Prayers for peace in your loss. Sending love and sympathy to all of you for a wonderful lifetime friend and classmate. Our loss is certainly Heaven’s gain as she shares her laughter, love, and beautiful smile with the angels. Diane was such a wonderful lady. I worked with her at the coffee shop, She was so much fun! RIP Diane. Diane was such a wonderful lady. I worked with her at the coffee shop, that’s when I really got to know her and we had a lot of laughs. Prayers for all your family. My thoughts and prayers are with you and your family. May Gods arms be wrapped around you all and give you strength and peace during this difficult time. So sorry for your loss to family & friends & fellow class 0f 1966! This has been a hard year for our class so early in the year. May God keep you close during this struggle . So sorry to hear of Diane’s passing. Thinking of you and the family at this difficult time. I am so sorry to hear the news about Diana. She was one of my special friends in our class. She always spoke her mind and never held back. My thoughts are with her family. So sorry for your loss, Bob, Dan, Deb, and Mike! I have a lot of good memories of Diane we shared a lot when I lived in Ohio back in the 80’s and 90’s. Such a fun loving lady. RIP Diane. I am so sorry for your lost. I lived right behind Diana and we walked to high School every day until I could drive. How many times we walked home from the Moose dances joking about the night. She was a wonderful person and great friend. We did not stay in touch much but she sleeps will bring a smile to my face. Rest in peace my friend! So very sorry for your loss. Prayers for the family. Lorie and family…so very sorry about your mom/ grandma/ sister and aunt’s passing. Knowing the strength she has shown during her battle with her health shows what a strong lady she was. Prayers and Hugs to each and every one of you and just know the memories of Diana will keep her in your hearts forever. God Bless You All. I am saddened to hear of the loss of my classmate, Diane. I treasure many memories of Whitney School, scouts, walking home from dances, and our parents being good friends. So very sorry to hear about your loss. My condolences to the family. Danny and Debbie, So sorry to hear of Diana passing! She was one of the original 3rd, Street gang. We all had so many good times growing up together She will always live on in our hearts. Our thoughts and prayers. are with you. Deb, Mike, Dan , Lorie and families. Very sorry to hear of Diane’s passing. Thinking of you and praying for peace and comfort in these days ahead . Bob, Dan, Deb, Mike, and Lorie, so sorry to here about Diana.She was alovely lady. So sorry for the loss of your Mom. You’re in our prayers. Bob, Deb and your entire Family has my Sincere Condolences. Bob, I will always cherish the Vacations we took with you. She was such a fun loving person. Prayers for your Family at this difficult time. (Private) Do not post condolence to the website. Please pass it along to the family. Website Design by Bald Head Design, LLC.